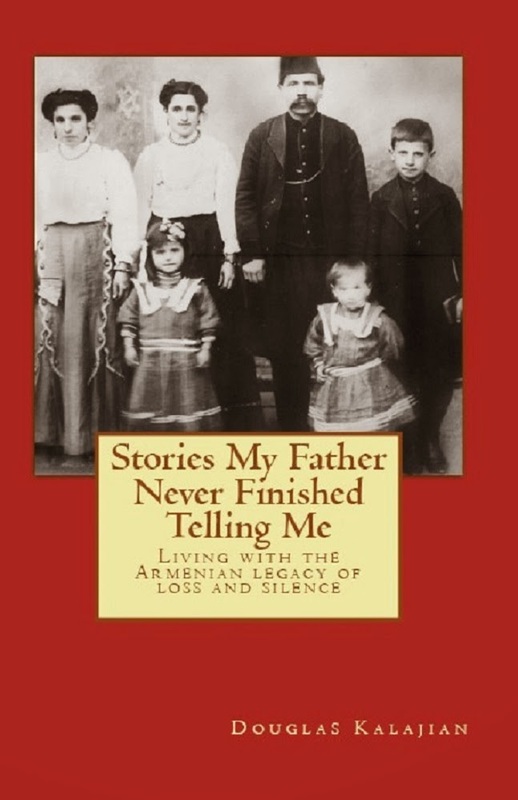 TheArmenianKitchen.com : Honoring a family heritage with a very special wedding gift—shish kebab for years to come! Honoring a family heritage with a very special wedding gift—shish kebab for years to come! 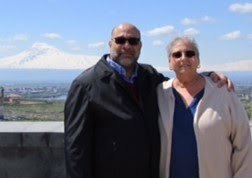 Robyn’s parents, Mary and Andy Dabbakian, flew down for a visit soon after we moved to Florida in 1978. We spotted them at the airport and ran to them with open arms. Robyn got two big hugs, and I got two big suitcases. “They’re lighter than they look,” her father said. I should have recognized this as classic Armenian humor before I grasped the handles and yanked. Not only did the cases refuse to budge, I could swear they yanked back. After a couple more tugs, I was convinced these suitcases weighed only slightly less than a Buick Riviera. It wasn’t until I managed somehow to get them home that I discovered why: They were filled with almost as much metal, including a myriad of gears, shafts and a motor. 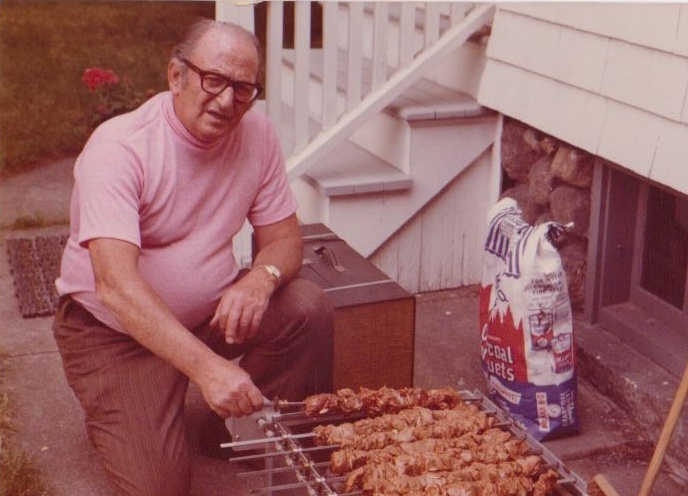 My very inventive and determined father-in-law had built us one of his remarkable shish-kebab machines that had become fixtures at Armenian church picnics back home in New Jersey. After he got it up and running, he took it apart again and somehow managed to fit all the pieces in his checked luggage. When we unpacked it all in our carport, he put it back together in minutes using only a screwdriver and pliers. He had the skewers humming merrily along when I got back from the grocery store with the lamb. Looking back, I wish I’d stayed and watched him work. This all came rushing back into my mind the other day as I slowly pried at the brackets that had held our faithful kebab machine together for nearly 40 years. The time has finally come to pass Andy’s handiwork along to the next generation. I was a little worried because we haven’t used the grill much in the past 10 years or so, since Mandy moved to New York. Like many people, we've downsized our parties as well as our menus. There’s just no reason to load Andy’s firebox with charcoal to make two skewers of meat. As a result, the machine has been sitting in a corner of the garage under a pile of extension cords. I cleaned it up, tightened the set screws that hold the gears on the skewers and squirted some oil in what I guessed were the right places. Then I noticed that the power cord was frayed, luckily before I plugged it in. I cut out the rotted part, spliced the rest together and taped it up for a test run. The ancient motor, rusty as well as dusty, sounded as tired as I was at that point. I decided it would probably be best to call in an expert but I couldn’t think of one, and I felt pressure to move along. The wedding takes place in two months, and the grill is destined for a central role in the festivities when the wedding party and families gather on the first night for dinner at their house in the Catskill Mountains of New York. It's important for Andy's machine to be present because it's a way of making him part of the occasion. He died just months before Mandy was born, so this machine has always been a touchstone that allowed her to experience his special gifts. Now it will be his gift to her. I had to make sure I could get it to New York, without waiting to get it in tip-top shape. The knee-high grill won’t fit in my car’s trunk—and checked or not, the days of boarding a plane with a dozen sharply pointed skewers in your bag are long over. That’s why I spent a good part of a day carefully breaking the whole thing down into pieces. Meanwhile, I ordered a new motor with fingers crossed that I guessed correctly about the power and speed. The project would have been a lot less intimidating if I had Andy’s ability. He had a natural sense of design and a high level of mechanical skill developed by working as a machinist for many years before becoming a high school metal-shop teacher. He could picture one set of gears meshing with another at just the right speed to sear a skewer of lamb over an open fire—and then he could make the gears and the skewers. I’d barely mastered the art of changing a typewriter ribbon before typewriters became obsolete. So the whole time I worked to take our precious kebab machine apart, I worried about the odds of ever getting it back together in working order. There’s really not much chance I can line up the gear teeth so the drive shaft turns in the right direction. I can barely manage to brush my own teeth in the right direction. Luckily, Mandy picked the right guy for the job. It’s clear from Ron’s very impressive home projects that he paid attention to his own father, who is—of all things—a retired machinist. Better yet, he’ll be joining us in the Catskills. Ron’s also confident that his local electrical expert can put a new cord on our new motor and get it running safely. Then Ron and his father should have no problem getting Andy’s machinery humming again, while I do what I do best when the tool box opens: Get out of the way. What a sweet tribute to your father in law. Thank you for the recipe. I've tried several different shish kebab marinades, but this one seems very similar to what my mom did when we were kids. She was Armenian and grew up in Mass., so maybe it's a New England variation. I look forward to trying it soon! I remember Andy at the Van Hotel. He always said his shish kebab was better. I'll try his recipe on the fourth. Say hi to Dawn and Drew.